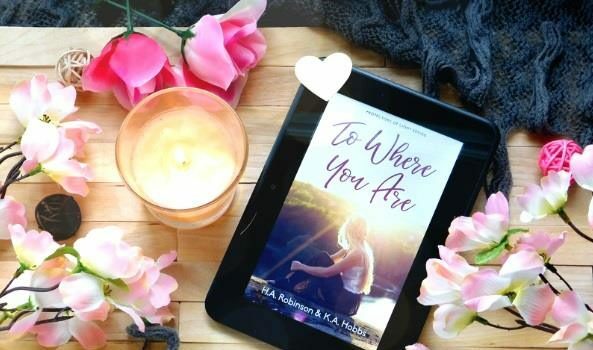 Review – To Where You Are by H.A. Robinson and K.A. 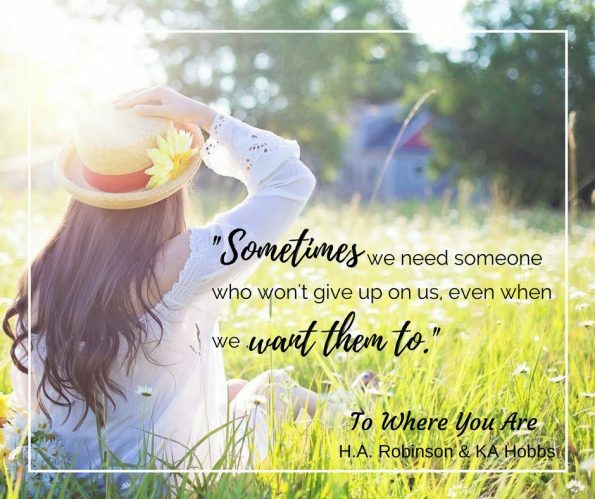 Hobbs – 5 Heart-Breaking, Beautiful, Magical Stars!!! 5 Heart-Breaking, Beautiful, Magical Stars!!! They say times a healer. For Molly and Imagine time was standing still. With strength and courage, they help each other to heal, finding happiness once again. Together, H.A. Robinson, and K.A. Hobbs, have created a beautiful, emotional, story of love, hope, and dreams. It’s clear their writing skills compliment, and work, well together. Their words are magical, heart-breaking, and healing, it’s a truly unique reading experience. Imogen is loud, outgoing, friendly, sweet, strong, and determined. She takes on life’s challenges and gives them her all. Even when things get too tough, or her past comes back to haunt her, with the help of Molly, and a beautiful angel, she fights with all she has, embracing the new life she has been given. Molly is a shell of the woman she once was; broken, sad, and alone. She isn’t living life, she’s trudging through it, one day at a time. She isn’t a weak character, she’s strong, and determined, both wonderful traits, and with the help of Imogen, and a handsome man, she broke down those walls to find herself and fully embrace life once again. The magic of this story was a huge surprise for me. I wasn’t completely sure what to expect from this story, and what I got was a pleasant, emotional, and magical, surprise. It wasn’t a story I devoured in one go, this was a story I had to read at a steady pace, to fully absorb the words and let the beauty of the story truly sink in. I loved every minute of this story, and it’s a story that will stay with me forever. If you believe, believe in this story. Believe in it’s beauty and believe that what lies ahead for any of us, could be a second chance and that second chance can be more than we ever bargained for.